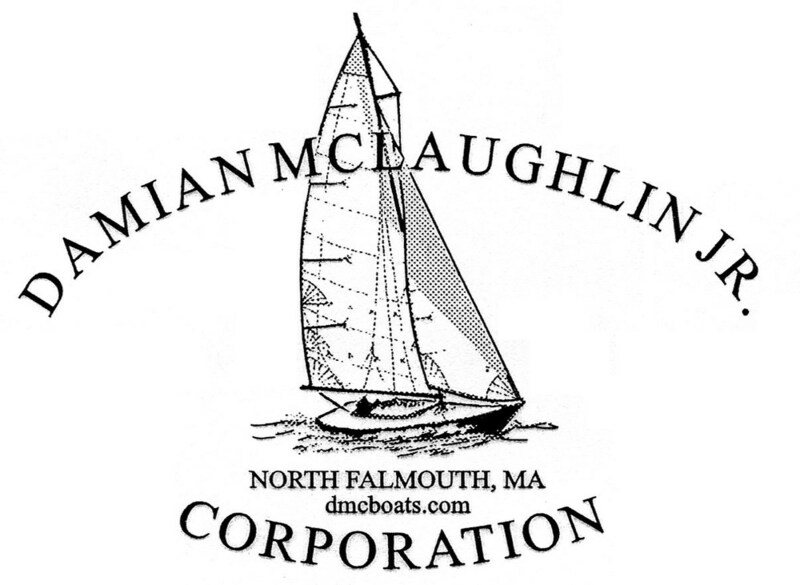 Damian McLaughlin’s name is synonymous with New England maritime tradition. For over 40 years, he has upheld the time-honored craft of wooden boat construction from his shop in the backwoods of Cape Cod, Massachusetts. Damian first learned to sail as a boy growing up on the banks of Lake Erie. He met his wife, Linda, on the slopes in Stowe, Vermont, and from there the couple moved to Shelby, Ohio. Seeking broader horizons, Damian reached out to friends on either coast for inspiration. On a flip of a coin (and the promise of a job in construction), the McLaughlins moved to the Cape in 1969. After building houses for a few months, Damian realized he needed a boat to become a true Cape Codder. His first attempt was a “McLaughlin skiff,” which he owns to this day. Thoroughly enamored with the mariner’s life— but less than thrilled with his new boat— Damian started working for Edey & Duff, a fiberglass boat shop in Mattapoissett, Massachusetts. While learning the techniques of the trade, Damian yearned for the romance of more complex wooden boatbuilding. It wasn’t long before he got his wish: a commission to construct the wooden interior of the Herreshoff-designed Meadow Lark. 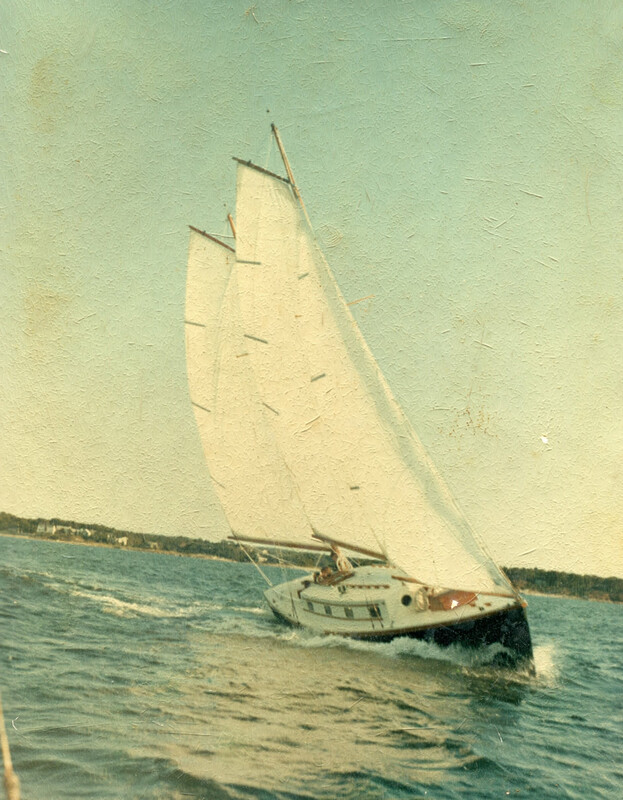 Damian soon became known as a versatile, reliable boatbuilder in Southern New England. His second major contract was to build Cape Cod Knockabouts, popular day sailors just made for lazy summer afternoons. Through the ‘70s and ‘80s, his shop grew to meet demand, building over 70 boats, ranging in size from 7 feet, 9 inches to 54 feet. A pioneer of multi-hulled boats, Damian has produced trophy-winning trimarans and globe-trotting catamarans. Many of his crafts make port in France, and have been put to the test by some of the biggest names in modern racing. While he’s not in the shop, Damian lends his voice to the New Bedford Sea Chantey Chorus and defies gravity on the slopes at Stowe and in experimental airplanes over the Cape and Islands. He and his wife Linda are known to spend summers in their canal boat on the Canal du Midi in Southern France and in Great Harbor, Woods Hole. They have two children, Heather and Breffni, and four grandchildren.